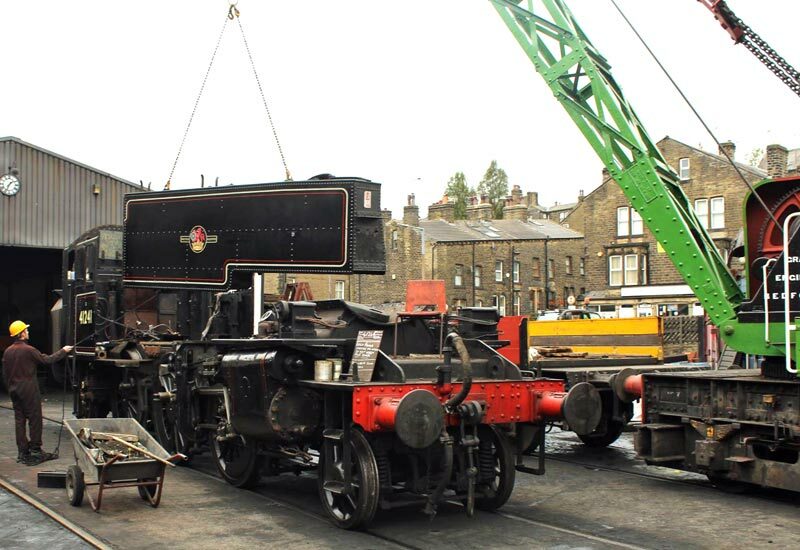 Noel Hartley, project leader for the Ivatt restoration, has sent in this report after visual recent activity of our iconic locomotive with the removal of the side tanks with the help of the recently restored Grafton steam crane. 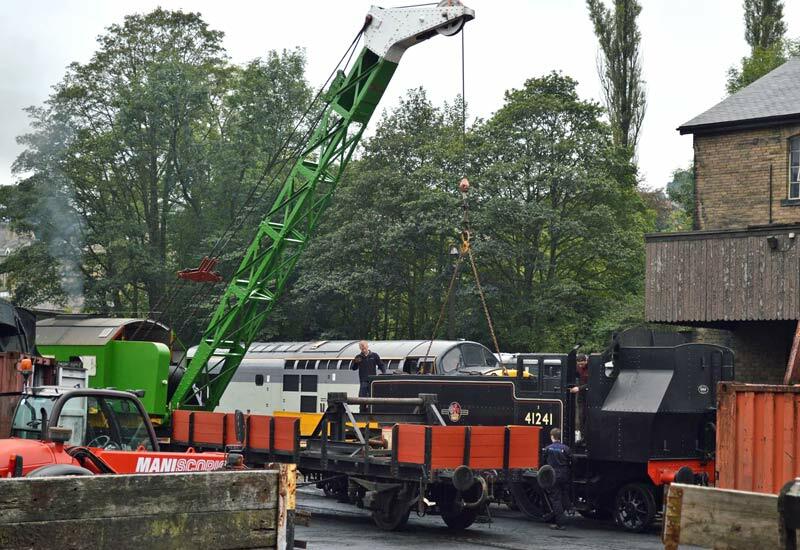 As previously reported the boiler was removed and has been prepared for going away to the Severn Valley Railway for major work including a new inner firebox. 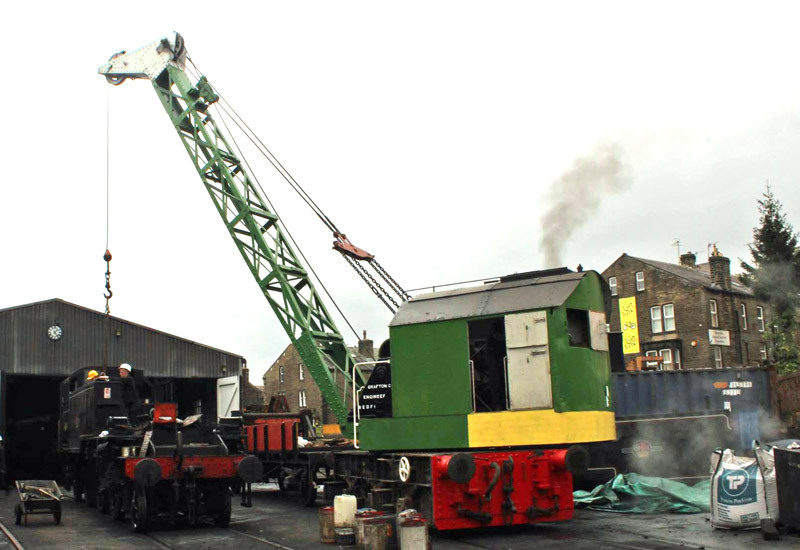 The locomotive has been prepared for dispatch to Bombardier for tyre turning on their ground lathe. This has included removing most motion parts, sanding equipment and other items below running plate level. As an be seen in the accompanying photographs water tanks have been removed for detailed assessment and repair or renewal. Heavy clean of the frames in readiness for assessment and repaint. Assessment/Repair/Repaint of removed parts in readiness for assembly of the loco at a later stage. 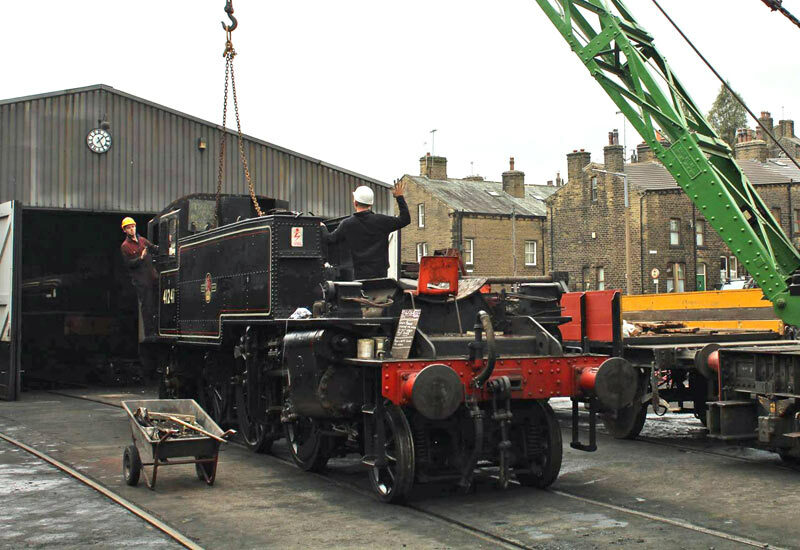 It anticipated that the boiler will go to the SVR in October or November with a return hopefully in 18 months – 2 years. The frames are due to go for tyre turning later this year, following this work will start on the suspension system. There is much to do to meet our target of a return to steam during 2017, ready for the 2018 Anniversary so if anyone would like to help out then please do get in touch with Noel, noel.hartley@kwvr.co.uk . The working group normally meets on the third weekend of every month and every Wednesday evening. During the winter months they will be meeting on the first Saturday of the month also.